contact us: 1860 Travels Limited is a company that also specializes in Sports Tourism, making out one-stop Tour packages to International Sporting events which includes events being organized by FIFA (Federation International de Football Association), CAF (Confederation of African Football), Top Football Leagues around the world, IAAF (International Association of Athletics Federation), Top Lawn Tennis Grande Slams, Golf Competitions etc. From the minute I saw the beauty of the FIFA World Cup in South Africa in 2010 - I fell in love with the Sports travel industry. Therefore it is our desire to offer you the best of your time out in such big tournaments. 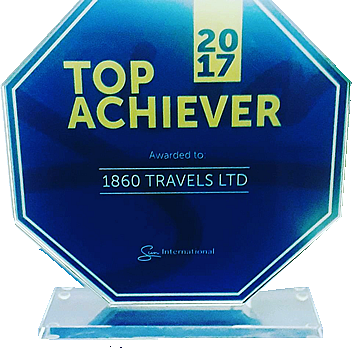 Welcome to 1860 Travels | we journey with you all the way!